With deadlines approaching, ISO 13485 compliance is becoming more critical than ever before. Additionally, since ISO 13485 will be used as an auditing standard for the Medical Device Single Audit Program (MDSAP), your company may need to adhere to these standards during a regulatory audit. If you haven’t signed up for MDSAP audits yet, to prepare, you should conduct a gap analysis that closely examines organizational processes, especially quality management. One of the prime high-risk areas in any manufacturing enterprise is its supply chain. A solid Supplier Quality Management system will support the processes that enhance supplier quality and keep supplier risk under control, improving the enterprise’s overall quality and compliance. An integrated inspection management system is key to making that happen. For instance, automated sampling and inspection plans minimize the time and labor spent on incoming inspections while enhancing high product quality. As a result, a manufacturer will spend less time inspecting materials from high-quality suppliers and will better understand which suppliers and materials need their attention. Take a close look at how you can build risk-based quality management into your own supplier inspection process. You’re probably conducting incoming inspections today but if you aren’t taking a risk-based approach, chances are you’re performing inspections you don’t need to do and possibly overlooking the items which need to be inspected most. Implementing a risk-based sampling system (based on the criticality of risk identified in your risk files) helps you spend less time and less money inspecting high-quality raw materials when you are already confident that they are good. You’re also able to pinpoint poorly performing raw materials and suppliers based on their inspection state. A typical risk-based inspection program includes a sampling system with a sampling plan, skip lot schedule, and inspection state switching rules. If you’re thinking about implementing a sampling system for incoming inspection, here are some basics to help you on your way. Sampling plans help to define your sample size or the number of items to be inspected for each lot of incoming material. When you choose a sampling plan, like the commonly used ANSI/ASQ Z1.4, you’re setting a baseline for the percentage of defects you’re willing to tolerate for each measured characteristic. This percentage may be 0, which means 100% inspection for your most critical product characteristics. For less critical characteristics, you may choose a different percentage (typically between 2.5-4.0%).This level is called your Acceptance Quality Level, or AQL. Based on your AQL, the sampling plan defines how many items to inspect for a given lot size. Typically, the lower the AQL, the higher the sample size you’ll need to have statistical confidence in a material’s quality. The sampling plan also defines how many defects can occur for the lot to still pass inspection. A skip lot schedule details how many lots need to be inspected out of the total you receive. Just like the sampling plan, your skip lot schedule can vary based on past supplier performance or based on a material’s risk. You may decide to vary the inspection schedule for certain raw materials, while you may have other materials that need no incoming inspection at all. Reduced – Fewer lots are inspected and fewer samples are taken for each lot. This state is reached based on good results in previous incoming inspections. Tightened – More lots are inspected and more samples are taken for each lot. This state is reached based on poor results in previous incoming inspections. Switching rules are also based on a statistical plan that modifies the inspection schedule while maintaining confidence that incoming quality will remain high. For this reason, you will need to stick with an industry-standard plan rather than creating your own skip lot schedule. A major obstacle to risk-based inspection is that sampling systems are difficult to track. Industry standard sampling tables are detailed and complex. Plus, manual inspection management processes make it challenging to understand each material’s quality performance over time. This makes it difficult to determine sample size, skip lot frequency, and switching schedules for an organization’s many suppliers and raw materials. Fortunately, electronic Inspection Management solutions can completely automate risk-based inspection processes. Tools like SmartSolve Supplier Quality Management, from Pilgrim Quality Solutions help you efficiently monitor your high-risk suppliers and materials, allows you to define a sampling system, and enable you to track supplier performance, giving you the data and insight you need to optimize your supplier base, and ultimately reducing your overall cost of quality. 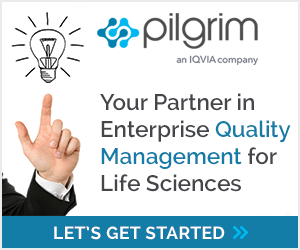 In the Life Sciences industry, compliance has to be at the forefront of every incoming quality decision. Don’t forget to consider the compliance aspects of your sampling choices. It is critical that you clearly document the sampling system you decide to use, and that the sampling system you use is statistically valid. It is also important to remember that sampling systems should only be implemented if you have confidence in a supplier’s previous quality performance. Be sure that you’ve documented any audits, inspections, nonconformance history, or other records in support of this decision within your quality management system. Whether you’re performing incoming inspection at a single site, or you need global visibility into incoming quality data, it’s going to be critical to your organization to be mindful of potential supplier-driven risk. Adopting a best practice-based, integrated Supplier Quality Management solution – one that includes an Inspection component – will be key to addressing that risk, and ensuring your preparedness for ISO 13485 compliance. SmartSolve Inspection Management helps you simplify the complex challenge of managing incoming quality.